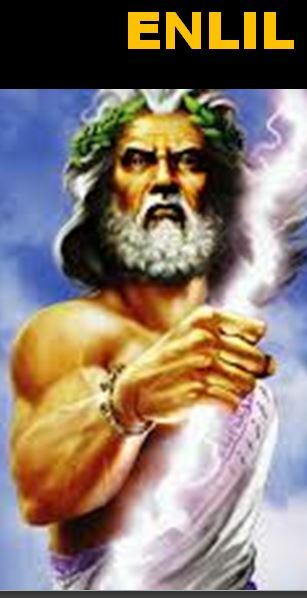 Though “Sumer was the heartland of the Enlilite territories,” Enlil, Commander of the Nibirans on Earth (the Anunnaki) decreed the Eridu on Sumer’s south edge belonged forever to Chief Scientist Enki and Enki’s son, Prince Marduk. 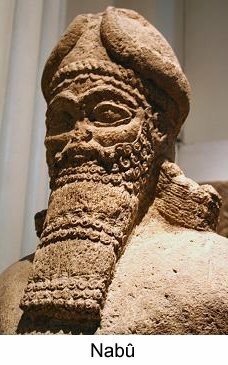 Marduk’s Igigi allies who’d seized Earthlings at Marduk’s wedding, ran great fiefs in Lebanon and Sumer. Their estates and the number of their Earthlings grew as the Igigi bred with each generation. 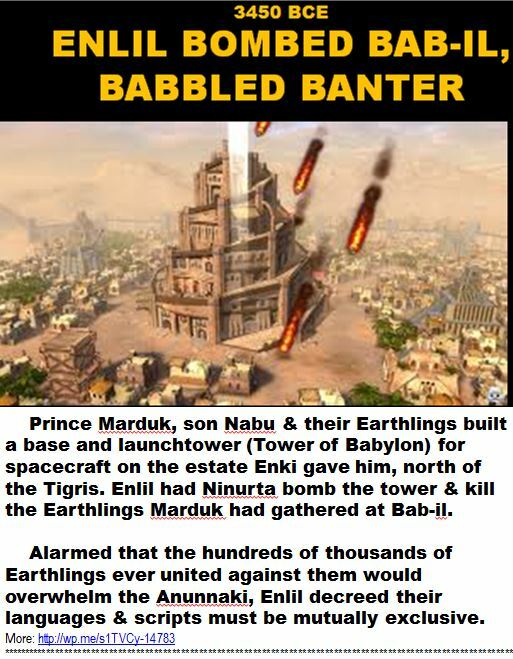 Marduk’s son Nabu gathered Earthlings and Marduk taught them to make bricks for his spaceport. 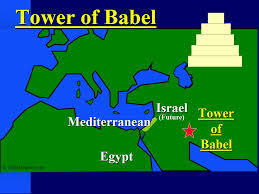 With his own launch tower at Babylon, Marduk would challenge the Sinai Spaceport Utu ran. 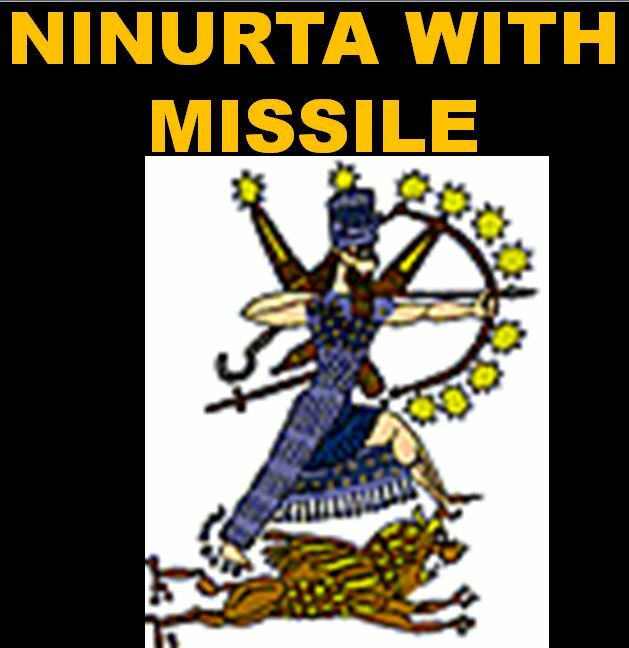 “This evil plan must be stopped, ” roared Ninurta, Enlil’s son and Enforcer. 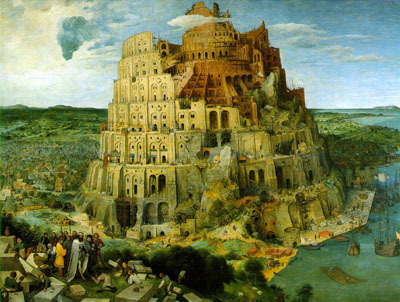 Enlil ordered Marduk to quit the project peacefully, but Marduk defied him and built his tower.